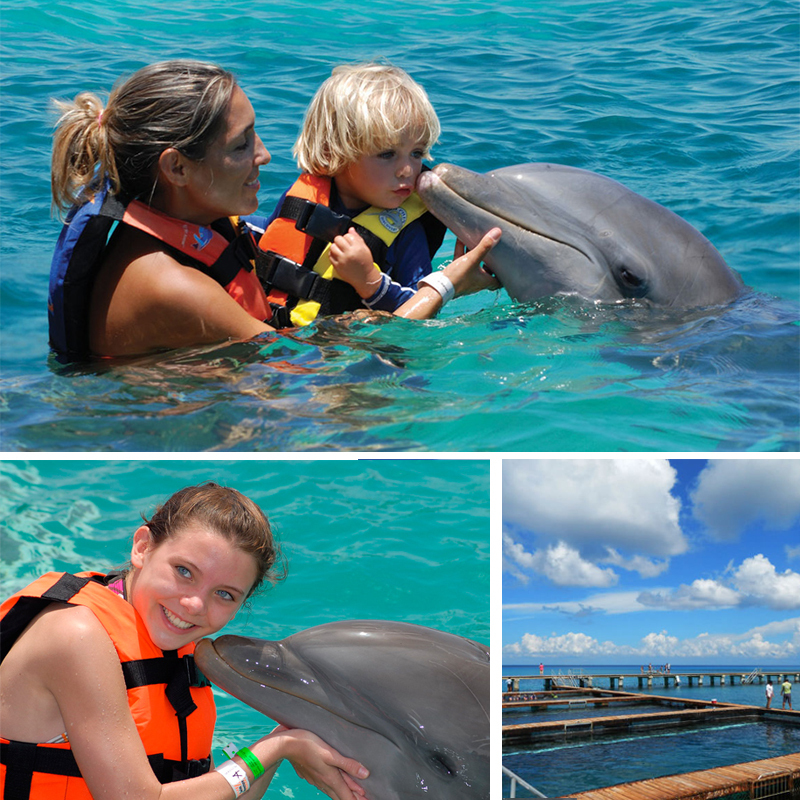 SKU: dolphin-swim-adventure-cozumel. 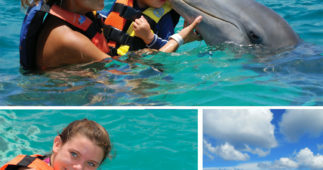 Categories: Cozumel Tours and Excursions, Swim with Dolphins in Cancun. 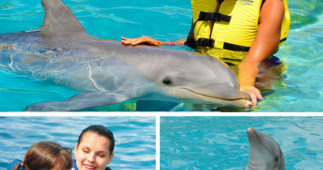 Cozumel is a great island in the Mexican Caribbean where you can enjoy several water activities and other amazing adventures such as swimming with the dolphins. This is a remarkable adventure that will stay in your mind and in your heart for the rest of your life. 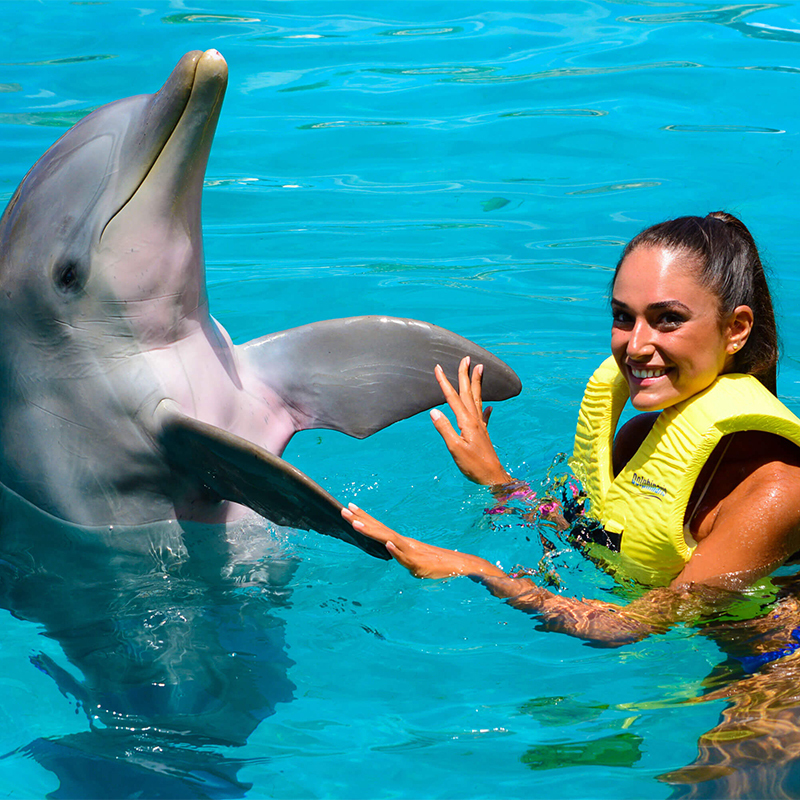 Come and play with and among these amazing and wonderful creatures. 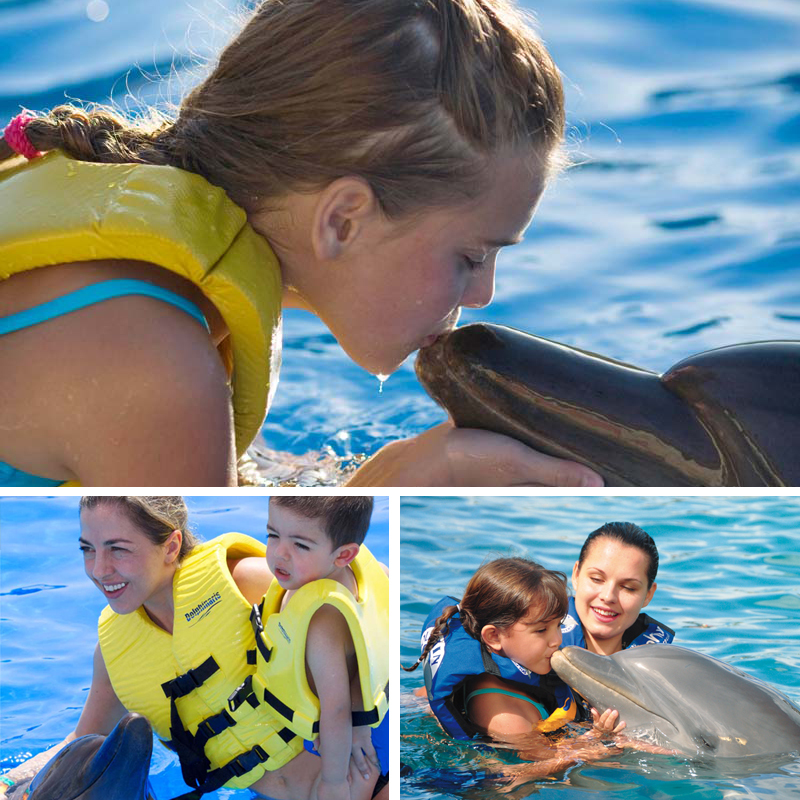 The swim with dolphins activity takes place in the amazing Dolphin Discovery dolphinarium in Chankanaab Park in Cozumel. 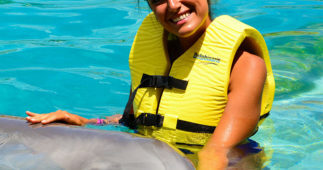 Once you arrive to the park the friendly staff will help you with your check in and provide a short briefing of the area and the facilities available to you. Then, you will be taken to the area where you will receive a short 15 minute briefing. 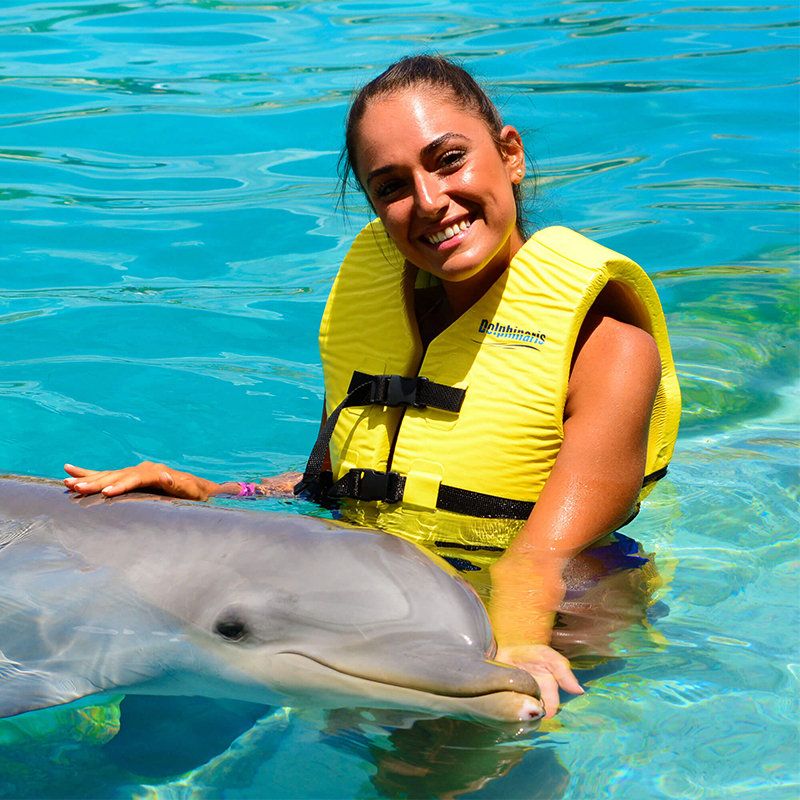 You will have 30 minutes to play with the dolphins. They will show you their skills, like the Belly ride Handshake, Hand target, Boogie push, Kiss and hug, and you will have some free time to spend with them. After you finish this great adventure you can spend time at Chankanab Park, and you can enjoy a Buffet meal and 2 non-alcoholic beverages for lunch. 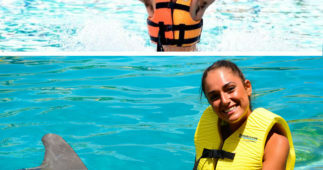 The facilities include a pool, lockers, showers and restrooms. 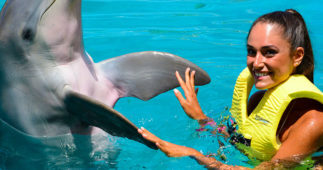 You can also Snorkel in Chankanaab National Park and round off this outstanding experience. 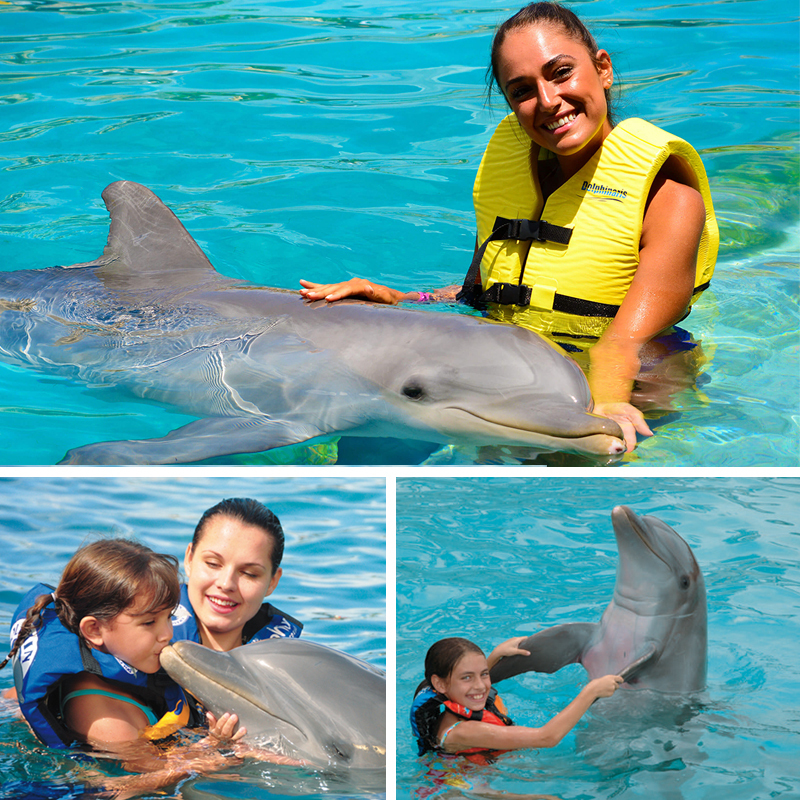 This swim with dolphin’s interactive program includes the famous Belly Ride, a handshake, hugs, kisses, a dolphin’s song, and free time with the dolphins. Groups have a maximum of 12 people for a closer experience. 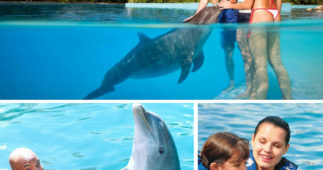 Kids age of 8 years old) Kids must swim with a paying adult as a companion.